Rinse-free auto wash and wax booster in one! Duragloss Rinseless Wash with Aquawax combines a convenient, all-weather car wash with their top-selling Aquawax! 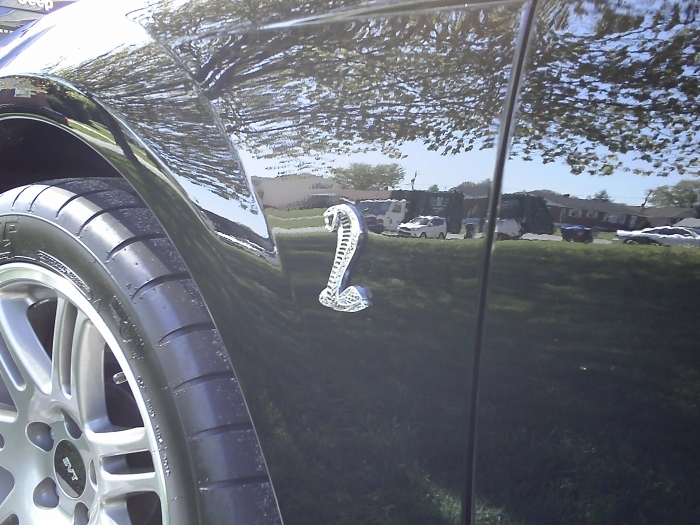 The result is one product that cleans well and coats the paint in gloss and wax-boosting polymers. Now you can wash your vehicle any time, without rinsing, and skip the quick detailer. Duragloss Rinseless Wash with Aquawax does it all! Rinseless washes are excellent for maintaining a clean vehicle when you do not have access to a water hose. Maybe it's wintertime and you can't detail outside, or you live in an apartment and your access to a water hose is limited. Duragloss Rinseless Wash with Aquawax enables you to wash your vehicle anyway. All you need is a bucket of water, a wash mitt or sponge, and a drying towel. Duragloss Rinseless Wash has the added benefit of Aquawax. This super slippery wax bonds to your vehicle's existing paint protection, even after you've dried the vehicle. In one step, your vehicle is left clean and incredibly glossy. Add a half ounce to each gallon of water you use. For most mid-size cars or small SUVs, you will need about 3 gallons of solution to perform a thorough wash. We strongly recommend putting a Grit Guard Insert in the bottom of your wash bucket to help keep dirt in the bottom of the bucket, where it is less likely to transfer back to the paint. 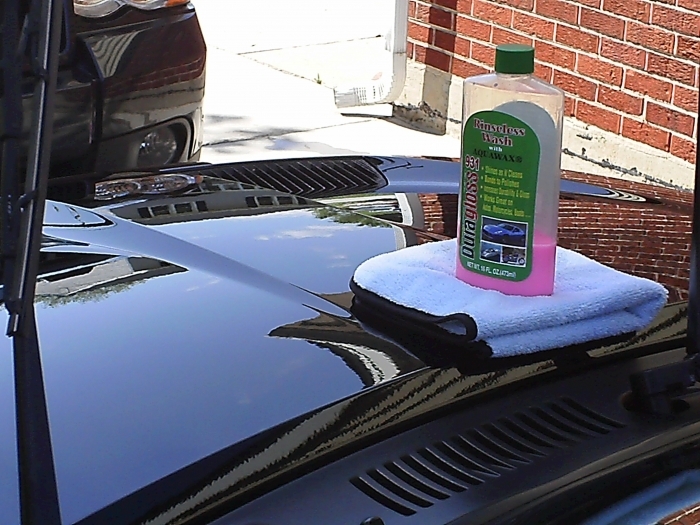 Use a clean, soft wash mitt to wash your vehicle section by section, working from the top down. You want to towel-dry your vehicle before it has a chance to dry on its own. Use a Cobra Guzzler Microfiber Waffle Weave Drying Towel. Then use a Deluxe Jr. 600 Microfiber Towel to give it a final buff.